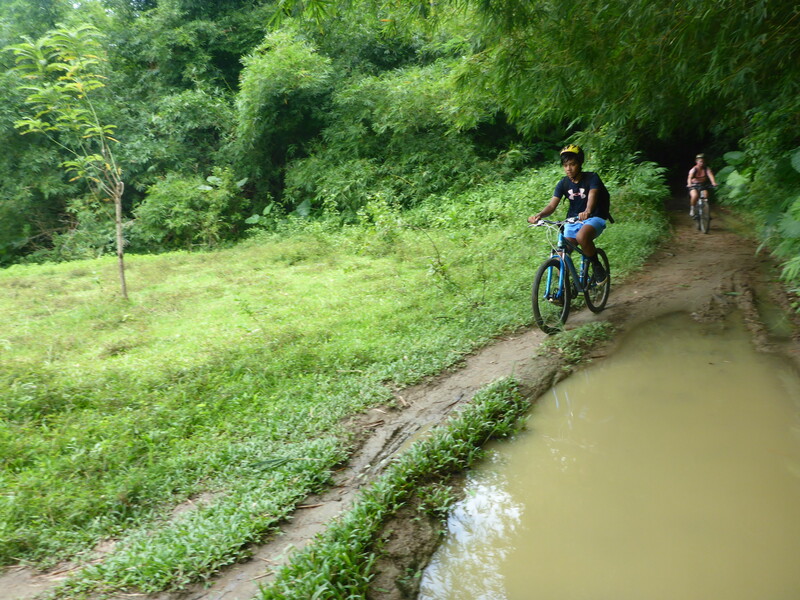 The original Hike + Bike tour was designed to follow the 31 kilometer trek across Busuanga that children took to get to school. Proceeds of the tour went to help building the Cheey High School, so that students no longer had to take the two-way weekly hike across the island. With the school now built and much of the path overgrown as the children no longer have walk it, we’ve altered the itinerary to highlight another community, hoping to help build a local school in the area. 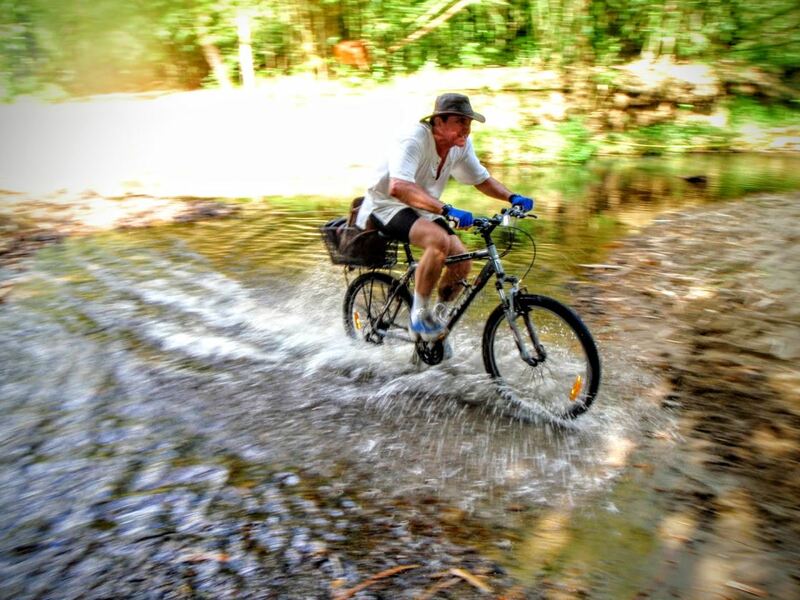 The bike trail takes you through cogon grass farmland (grass used for thatched roofing of local houses), before moving into a challenging single track through tropical rainforest. The track ends at the entrance to Sinibayan Waterfall, where the 45 minute trek through the rainforest begins. 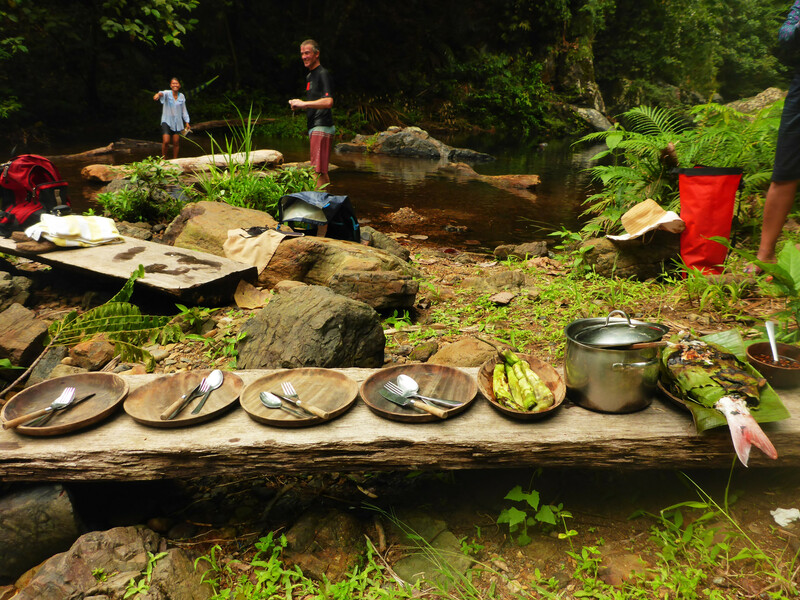 On the hike, your guide will show you different trees and plants locals use traditionally and from day to day. 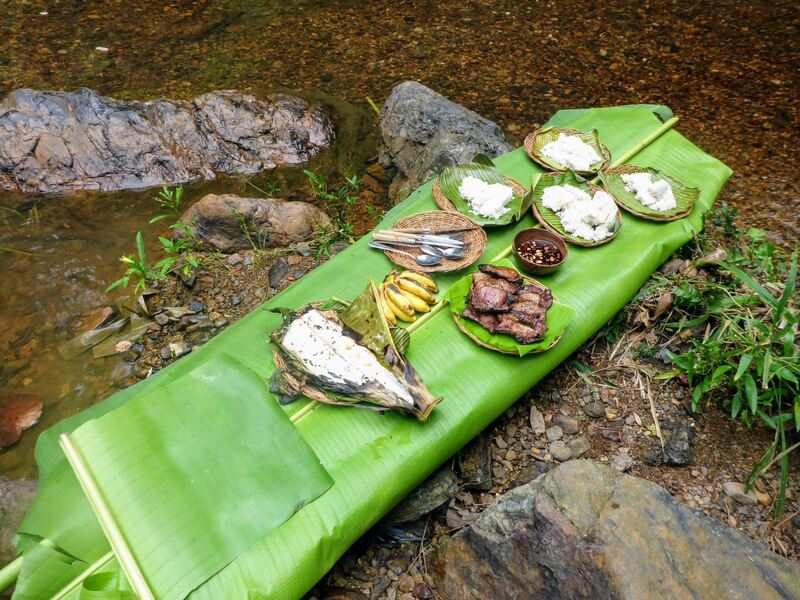 At Sinibayan Waterfall, the crew prepares a barbecue lunch while you take a well-deserved relaxing dip in the cool rock pools fed by the small waterfall. 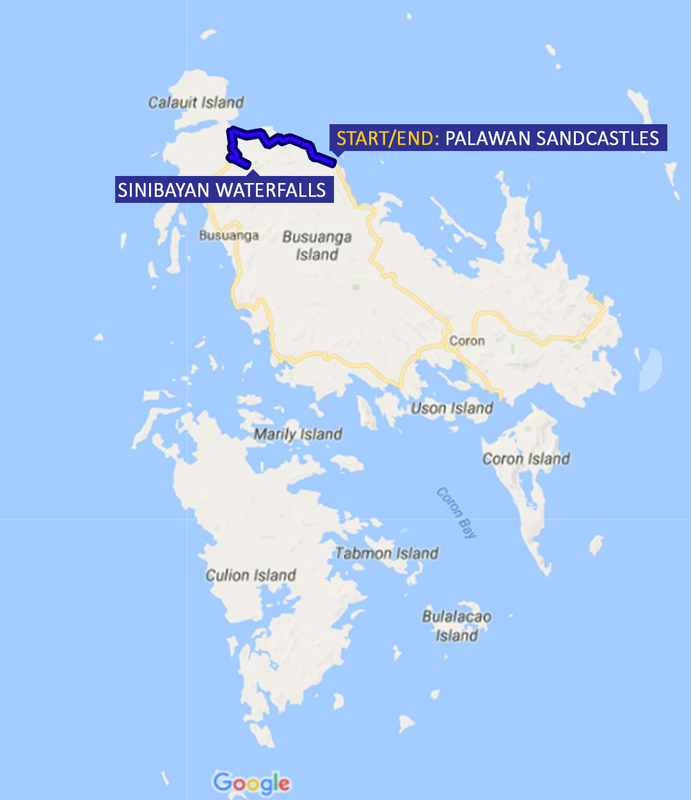 After lunch and a relax, we hike back for a 4×4 transfer back to Palawan SandCastles or Coron Town. 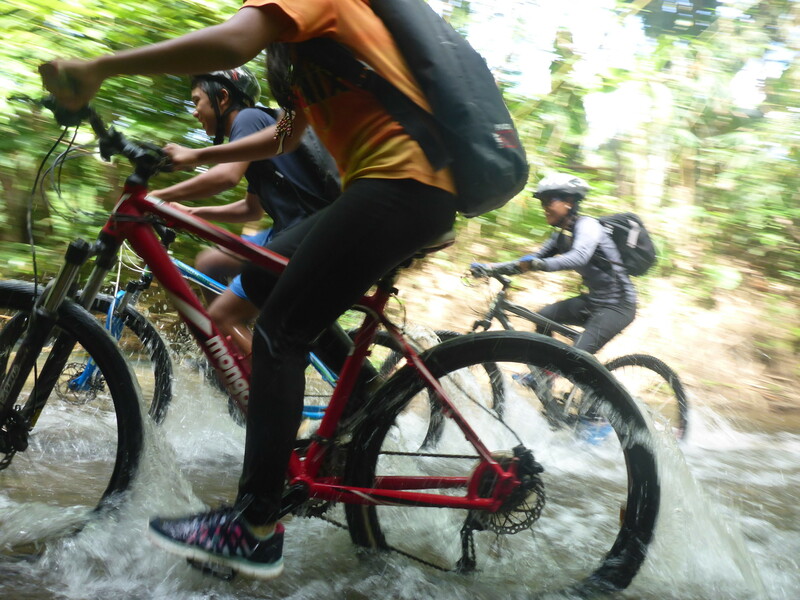 Assemble at Palawan SandCastles for a hearty breakfast, briefing and bike fit-out. Drive north to the community of Amaha to start the bike leg. 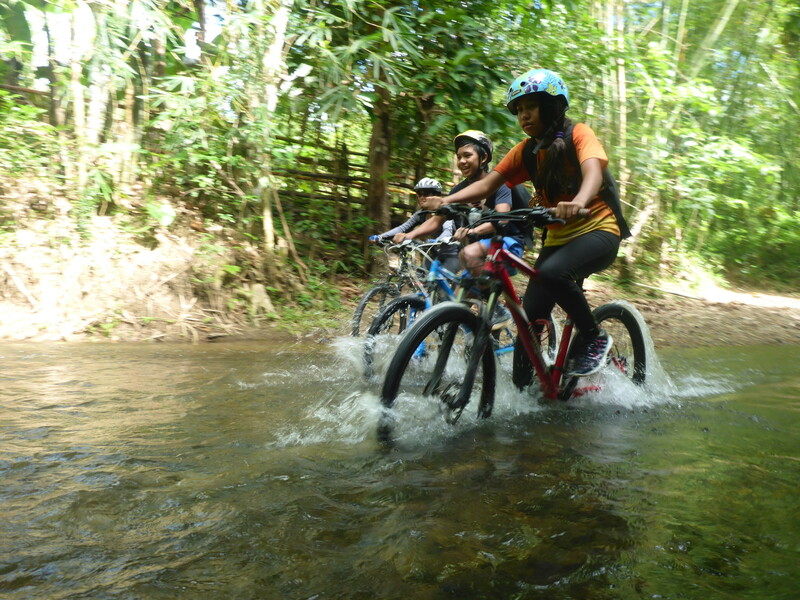 Bike to entrance of Sinibayan waterfall. Hike through the rainforest to Sinibayan waterfall. Barbeque lunch at the rock pools. 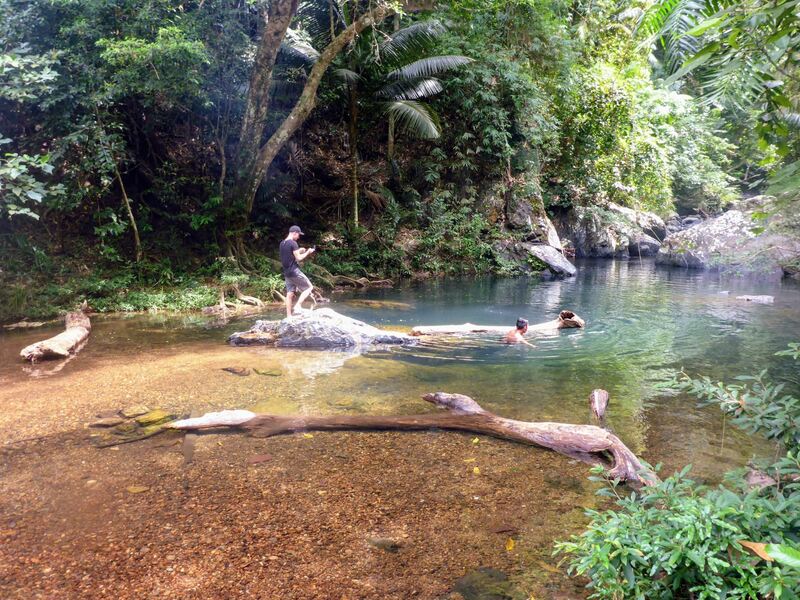 Explore the falls and relax in the cool rock pools. 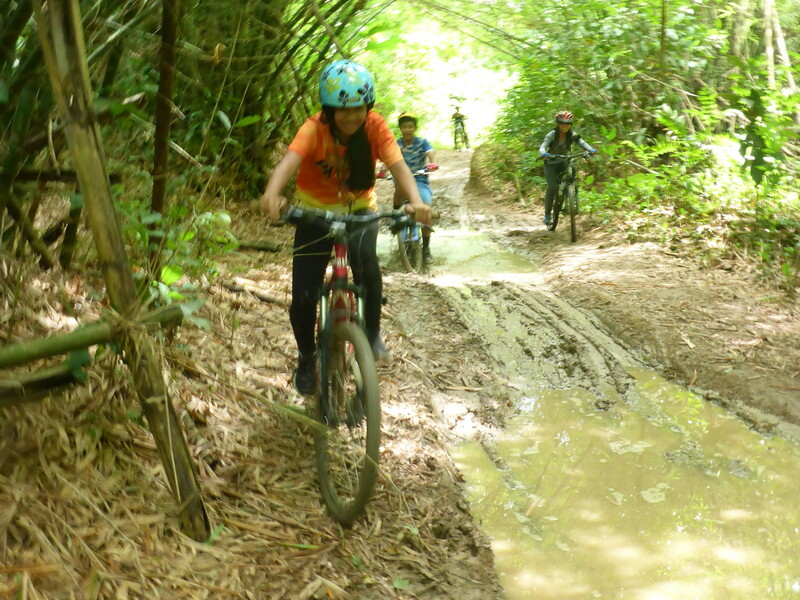 Hike back to the bikes and continue through the trail to meet the 4x4. 4x4 transfer back to Palawan SandCastles.